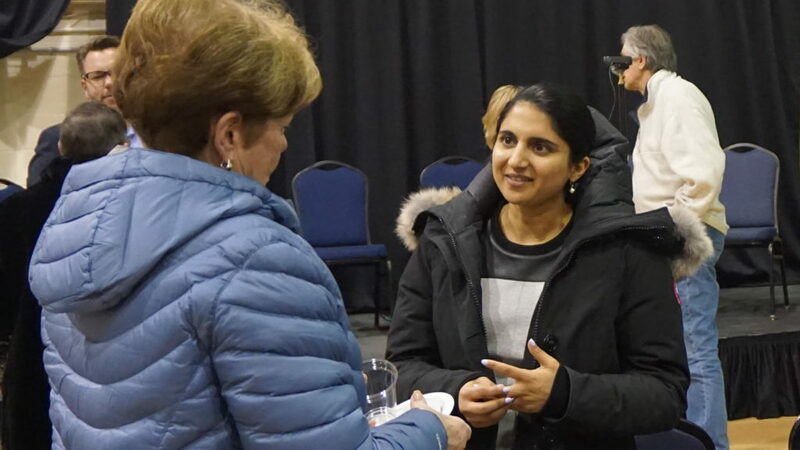 On February 8, we co-hosted a panel discussion at the Kerby Centre 55+ called The Importance of Home, Community and Care as We Age. 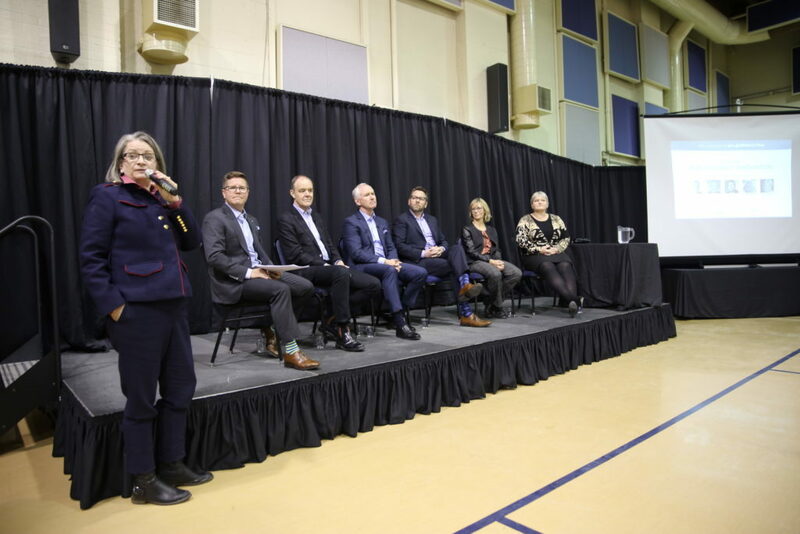 The panel discussion was led by West Campus Development Trust, University of Calgary, Alberta Health Services, The Brenda Strafford Foundation and the Kerby Centre, to explore concepts, challenges and innovative methods that help older adults and seniors age-in-place. As a result of the lively and interactive talk, the questions and comments posed by attendees, virtual viewers and panelists were combined. 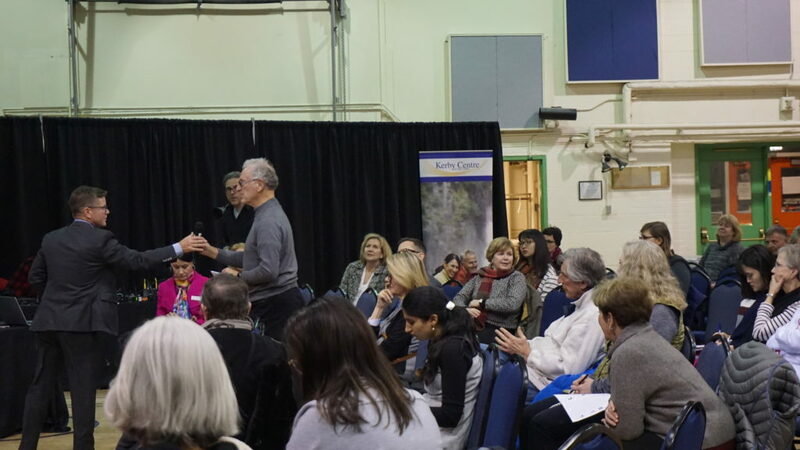 Here, you can learn more about the topics and perspectives that helped drive this important discussion, and how we can start working on solutions to address the importance of quality of life as we age, especially at University District. Did you miss the panel discussion in February? Take a look at our recap with the key takeaways. For more information, please contact us at info@wcdt.ca. Laneway Housing: Laneway houses are fully independent, small-scale dwellings that face on to an alley, typically found in the backyard of existing homes. UCalgary EVDS Laneway Housing research is underway. Contact John Brown for more info. Trusted Age-Friendly Contractor List: This was identified as a much-need resource yet to be created. Questions from the audience and answers from panelists. 1. How can we possibly deal with an increase in the numbers of seniors (including seniors with serious health issues) if there is no increase, or just a modest increase, in funding for healthcare and for seniors in the future? That is THE question. Everyone in the world is looking into this question. Japan is on the leading edge of this question with the oldest demographic. There isn’t an answer at this point, but what there is —is a huge amount of intellectual effort looking at it. Collectively, we will figure it out. Other parts of the world are successfully shifting significant levels of health care out of the hospital and into the home, and that might be one possible dimension that we could be looking at. It will require a tremendous revolution in the way that we think about all of this. 3. Are you aware of anything being done to help seniors in assisted living to be safe? In many cases, intentional and even simple things can make a difference. Semi-private rooms versus private rooms, social programming for positive stimulation and a built environment that reduces adverse stimulation for dementia patients, can make a significant difference in keeping seniors safe. 4. Can the panel address how we can support our low-income seniors and homeless senior population in Calgary? We need to talk openly about this. People who live in poverty often age faster and have more challenges. For starters, we need to make sure that we’re including this segment of the seniors’ population in all of our conversations moving forward. 5. How can improvements be made to established inner city communities to incorporate the accessibility of seniors and other demographics to living optimally in their communities? One way to do this is to investigate whether there are funds available to improve accessibility. The Government of Canada’s Enabling Accessibility Fund is one such program that provides funding for eligible capital projects. You can also investigate the availability of other funding sources from provincial and municipal governments. Beyond that, awareness and advocacy has been a common theme of the conversation. If you’re a business owner or a facility manager, ask yourself if your spaces are universally accessible (for everyone, not just seniors) and then take actions to prioritize and budget for accessibility. 6. How will first responders deal with frail seniors who are aging in place in apartments? Everyone can’t be on main floor.First, make sure that you’re familiar with your building’s evacuation plan, which should illustrate what residents are supposed to do in the event of an emergency.In addition to pre-planning for emergency scenarios, first providers are trained to assist/lift/evacuate individuals with mobility impairment concerns. 7. University District is following LEED principles. I have worked in a LEED Platinum building that has been fraught with mechanical challenges. Will there be access to LEED repair people? LEED is a prestigious international certification for environmental excellence. The University District is LEED for Neighbourhood Development (LEED-ND) Platinum, which puts us in a small pool to accomplish this across North America (third in Canada and 13th in North America). As part of being LEED-ND we do not have LEED residential buildings, only LEED office buildings. Our residential buildings are Built Green. The energy requirements are built into that classification system. We did this because we don’t want to get into the situation where our buildings are onerous to operate. 8. How can occupational therapists become involved as they are proven to help improve patient outcomes? EVDS includes occupational therapists (OTs) as a part of the consultant teams in research. Dr. Shankel’s team works with OTs to do home assessments with seniors at risk of re-admission and are currently advocating for more funds in this area. 9. What supports are there for a culturally diverse population of seniors in Calgary? We are learning. Some innovative things are happening: for example, Meals on Wheels has partnered with another group to prepare traditional dishes for people of Chinese descent. These changes were driven by advocacy and people speaking out to say: “I want what I want.” Healthcare professionals are recognizing the importance of cultural awareness and patient- and family-centered care and are looking at innovative ways to do this. Communities need to contribute to this process and let us know what is important to them. Through primary care networks, we’re looking at ways to help seniors stay in their family nucleus where they are most comfortable using a long-term care model into the home – letting the family care for that person. 10. Have you ever given a thought to design a laneway bathroom for seniors? That’s an interesting idea. There are issues to consider about how you would connect it to the home meaningfully with a huge cost and reworking. What drives the laneway house idea is the idea of a short-term fix, so that you’re not making a permanent change, but it is as you need it. Is there a way of doing that in an attached garage? They’ve come up with some interesting solutions to the bathtub challenge for seniors in Ontario where smaller communities are taking over the community center and putting in an accessible shower/bath stall unit. Families come twice a week for a coffee, a spa treatment and a bath. It’s a good opportunity for a senior to have a practical but also a social experience. 11. Is pre-servicing done on laneway housing? Will University District include this within its single family detached lots? University District is an all multi-family housing community with no single-family homes. In doing this, we’re trying to fill the gaps in the market with partners like The Brenda Strafford Foundation and we’re actually trying to incorporate inclusivity and age-friendliness into the day one plan to accommodate the changing demographics.Laneway housing is an effort to address the needs of the established communities where it’s difficult to make a wholesale redevelopment. Our portable laneway housing model uses an “umbilical cord” from the window from the basement into the house. 12. How will laneway housing be commercialized? Right now, the project is deep in the evidence-based research process. We’ll be doing that for at least another 9 months – there’s a huge amount to learn. We hope one day to think about commercialization but at this point we’re really working on getting it right. The research will be applicable to all housing types because we’re evaluating new forms of technology and layout. be healthy. be well. be informed. The Brenda Strafford Foundation is a registered Canadian charity with a proud history of serving seniors and those in need since 1975. The Foundation currently owns and operates four assisted living and long-term care facilities in Calgary and Okotoks, dedicated to enhancing the quality of life and advancing excellence in care for senior residents. Guided by our philosophy of ‘the preservation of dignity and the pursuit of happiness,’ The Foundation also supports a variety of local and international charitable programs. From innovation in seniors’ care, to championing research and education, to providing housing and support for women and families fleeing domestic abuse and families at risk of homelessness, to healthcare in the West Indies, we are committed to innovation, leadership and compassion to inspire hope and happiness in all we serve.In 2017, the BSF and West Campus Development Trust announced a new manor facility to open in University District in the future. Located in the heart of Calgary, Alberta, Kerby Centre is a not-for-profit organization, committed to enhancing the lives of older adults. Since 1973, Kerby Centre has evolved into one of Canada’s flagship agencies; setting the standard for older adult services, information, and programming. Serving 24,869 people in 2016, Kerby Centre strives to assist older adults to live as well as possible, for as long as possible, as residents in the community. To help you, to teach you, to grow with you; this is your Kerby Centre. Bold ideas for the built environment. Our graduate professional degrees in Architecture, Landscape Architecture, and Planning, together with our research degrees at the Master and PhD levels, provide our students with professional education informed by research, and research degrees informed by practice. Collectively, our faculty and students engage in ideas of “what could be” by developing propositions of “what should be”. Creating amazing places for people at University District. The West Campus Development Trust (the Trust) is the first real estate development company of its kind in Alberta. We’re building a master planned community for the University of Calgary. In the future, the 200-acre University District, immediately west of main campus, will be sustainable and vibrant with homes, businesses, shops, services and ample open space for all Calgarians to enjoy. We encourage you to continue the discussion of how U/D is building a community to age-in-place and what you’d like to see take shape. Please visit us at our Discovery Centre or contact us at info@wcdt.ca, and let us know what keeps you active and which amenities you enjoy with your family.